I put a Satsuma mandarin orange tree in the backyard today, a nice healthy one, and was impressed with the realization of what a commitment it is. Actually, the Satsuma is a replacement for a smaller one that flourished and bore fruit for a year but turned a nasty brown and died when I gave it too much chelated iron. In the last month, I spent a fair amount of time preparing the soil after ripping up an old brick patio that was uneven and bulging from tree roots and extending my sprinkler system 45 feet to turn bare dirt into lawn—or something greener than bare dirt, anyway. And then I planted the Satsuma, a serious investment because it was the biggest I could find. Of course, I could have put in another type of orange tree—something that’s cheaper and less of a challenge. In fact, I have a navel orange tree out front that grows like a weed and takes no care at all other than cutting off suckers. 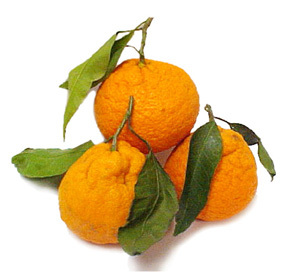 But the fruit doesn’t have much taste, while the Satsumas are deliciously tangy and tart. Only a Satsuma would do. San Gabriel Nursery assured me when I bought it that I could leave the Satsuma in the container and it would do fine. But I don’t do things casually, and I think trees—if you’re serious about them—belong in the ground. For keeps. Since I was intent on planting it in the yard, I had to haul the heavy container around to decide where the tree would look best, which was a fair amount of work. I picked the spot, dug my hole and carefully unpotted the roots. And in it went, circled by a ring of bricks from the old patio to help hold water. Of course planting the tree is merely beginning. Now come the weeks and months of watchful care. Water but not too much water. Citrus food but not too many chemicals (remembering the sad effects of too much chelated iron). And then there’s my shade abatement program, which is causing a bit of anxiety in the neighboring trees. There’s already fruit on the Satsuma, and if all goes well, it should be ripe around Thanksgiving or a few weeks before Christmas. Wish me luck. I’m committed to this thing.